Zay Jones' father says his son will be fine, and online jail records show the Buffalo Bills receiver has been released two days after being arrested in Los Angeles following a naked, bloody argument with his brother. Zay Jones was arrested after officers were called to a disturbance in downtown Los Angeles, said police spokesman Luis Garcia. Jones was found "breaking glass doors and windows'' and arrested on suspicion of felony vandalism, Garcia said. Prosecutors did not immediately file a case against Jones and have asked police to further investigate the matter, district attorney's office spokesman Paul Eakins said. Robert Jones, who lives in Texas, is a former NFL linebacker and won three Super Bowl championships with the Dallas Cowboys during his 10-year career. 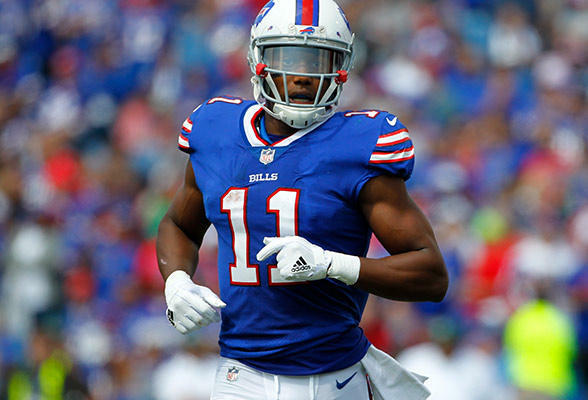 Buffalo Bills receiver Zay Jones has been arrested in Los Angeles following a naked, bloody argument with his brother, Minnesota Vikings receiver Cayleb Jones.